Ever since his first sighting of a peacocks at an India zoo, Advait has attached a dream-like, energetic aura to the magnificent bird. 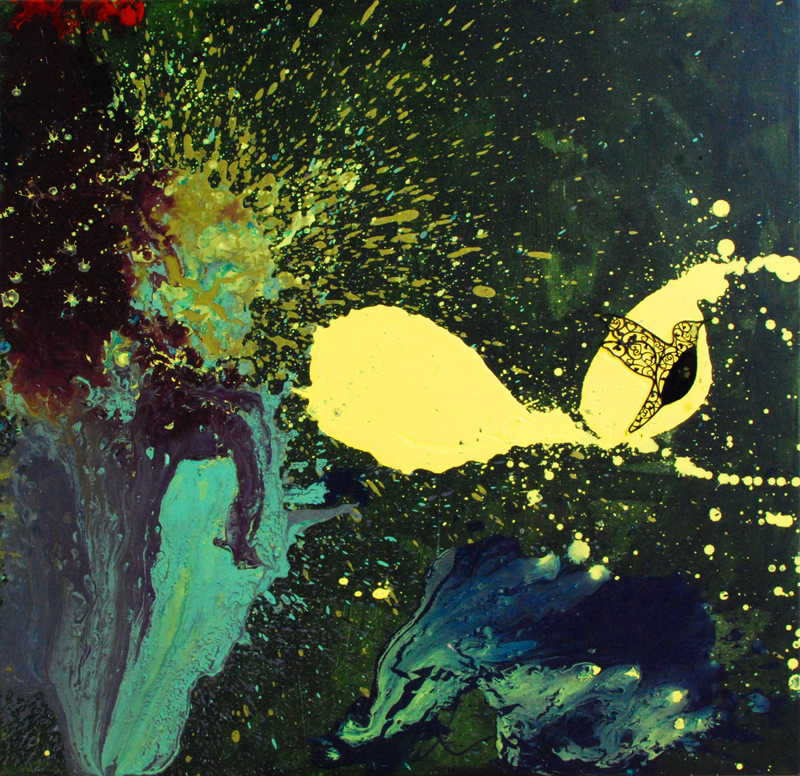 To emulate the energy, he had employed colours through splashes and flow. He says these are three peacocks prancing around in a lush green forest. To clarify his motif, he asked for a bird sticker to be pasted on the yellow figure.